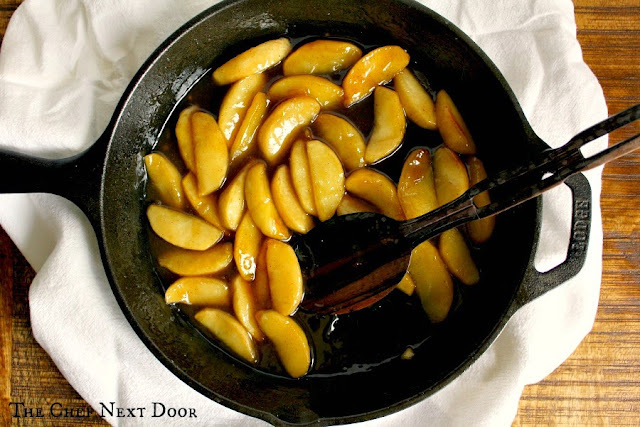 These easy to make skillet cinnamon apples are a delicious side dish or topping for pancakes and ice cream! It's still a few weeks away but I'm already planning out my sides for Thanksgiving. We always have the standards - dressing, mashed potatoes and sweet potatoes - but each year I like to add a few new recipes too. I made these Skillet Cinnamon Apples over the weekend and right away I told my son, these are going on our Thanksgiving table! They are simple to make, budget friendly, and they taste absolutely amazing. 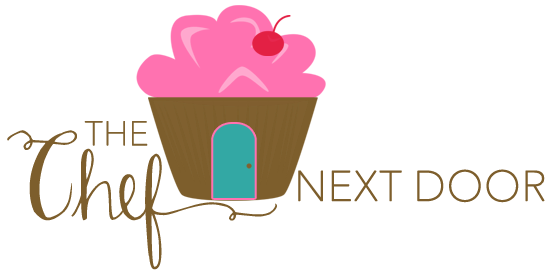 Who knew that just a few ingredients could turn into something so divine?! 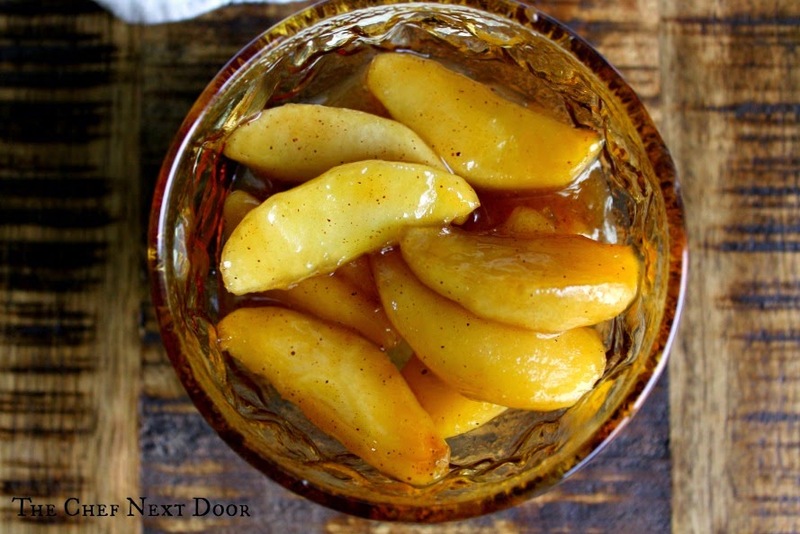 These apples are perfect as a side dish with dinner, but I'll tell you a little secret...they are also amazing on top of vanilla ice cream and pancakes! Melt the butter in a cast iron, or large nonstick, skillet over medium heat. Add the brown sugar, cinnamon, nutmeg and flour and whisk until combined. Add the apple slices and gently stir to coat them with the sauce. Cook over medium-low heat for about 20 minutes, until they are tender and golden and the sauce has thickened.